To edit the chord length, just make a long press at the right side of it. The Chord pad will glow, move left / right to set length. To move any chord, just make a long press in the center until it glows and move to the new position. 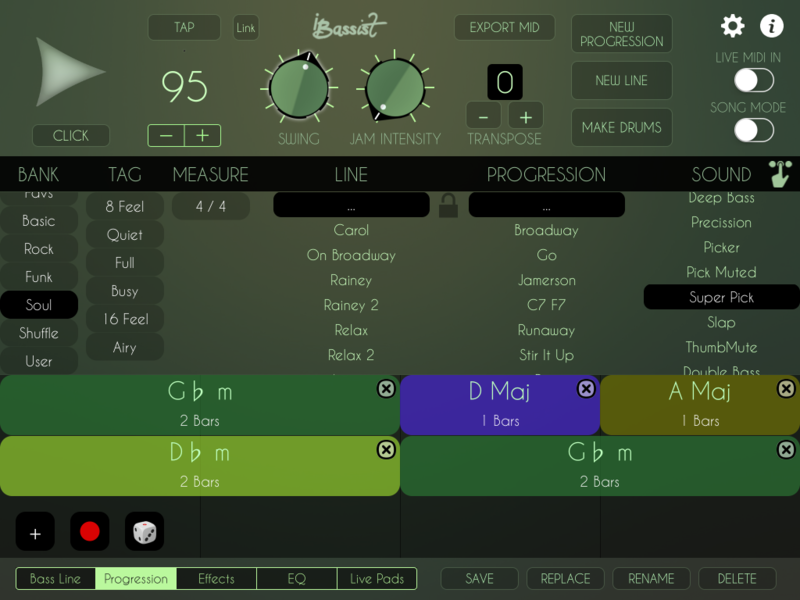 If you prefer to record by MIDI Chord detection, press the red button and iBassist will start playing when detects the first MIDI chord. When Progression is ready press Save button to store. Be sure you have the Progression editor selected in the bottom section. Save button always works with the bottom section.